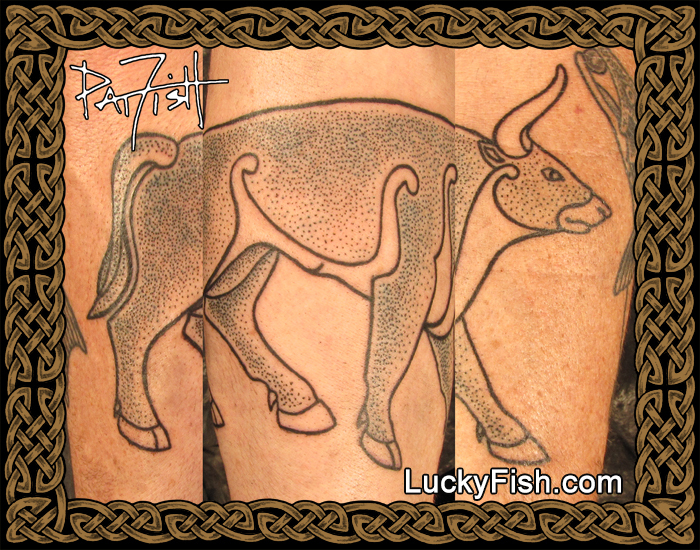 A carving from the 9th c Pictish Reay Pillar Stone in Scotland, this mighty bull stands sentinel across the ages. Tattooed on a forearm so photo is a composite. Rendered in pointillist dots for texture.